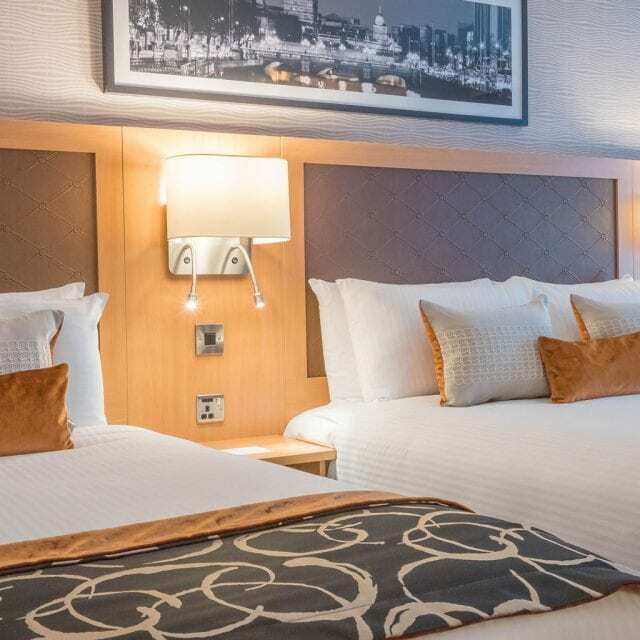 Experience Clayton Hotel Cardiff Lane’s newly refurbished luxurious Executive Hotel Rooms after a long day of work or play. 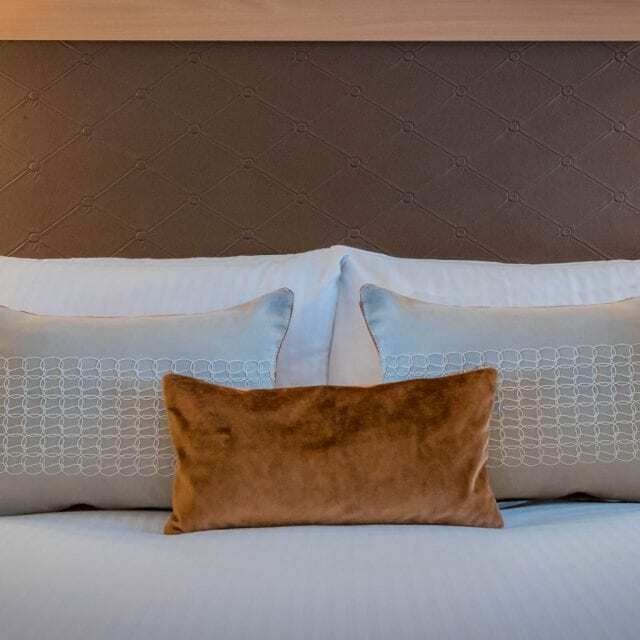 Measuring 28sqm in size, these rooms boast a Clayton Hotel signature king sized bed complete with crisp white duvet, pillows and a spacious seating area. Indulge in the enhanced amenities in the Executive Room. Fluffy bathrobes and slippers, a Nespresso coffee machine, mineral water and chocolates await each guest’s arrival. Ideal for any guest in Dublin city centre on business. 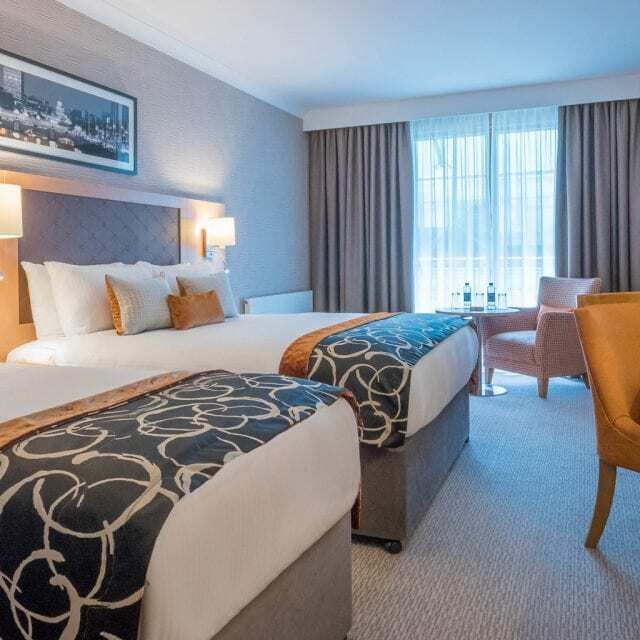 Experience the newly refurbished Superior Rooms at our 4 Star Hotel in Dublin’s Grand Canal Dock. Our Superior Rooms boast Clayton Hotel’s signature bed set in a contemporary and stylish décor. Relax in this light filled and airy room. 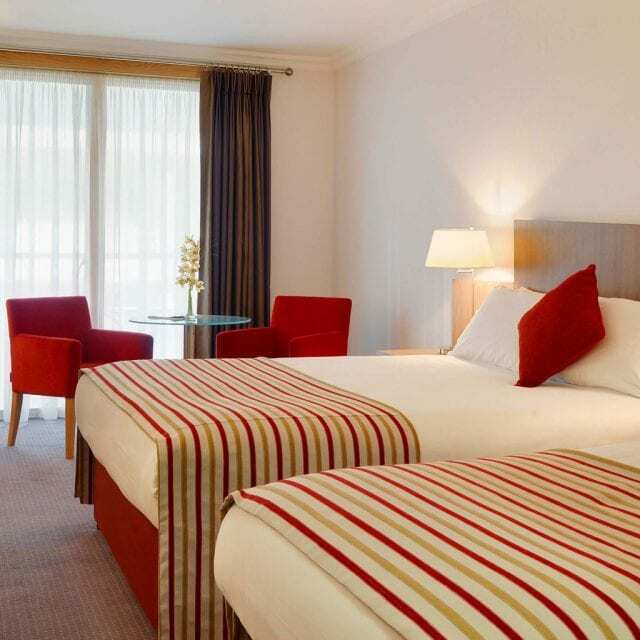 All Superior Rooms include luxury Clayton Hotel toiletries, complimentary Wi-Fi and 24-hour room service. 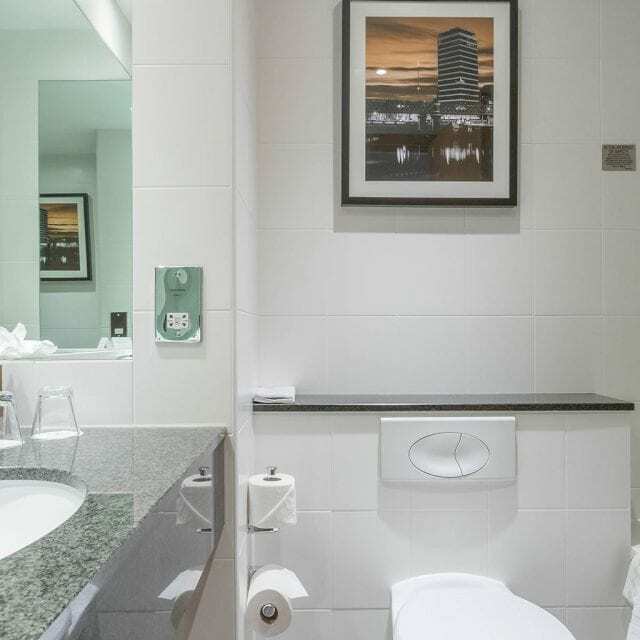 Ideal room if you’re attending a concert in the nearby 3arena or a show at the Bord Gais Energy Theatre. We have a room for the whole family just steps away from the city’s main attractions. Unwind with the little ones after a long day exploring Dublin City in one of our spacious Family Hotel Rooms. Or splash around in our 22-meter pool which has a kiddies pool for the younger children. Located in Grand Canal Dock. 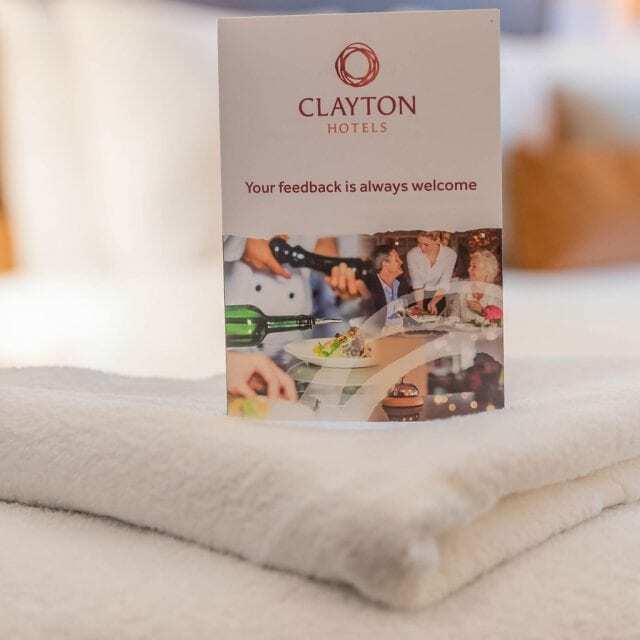 Clayton Hotel Cardiff Lane offers Family Rooms which include 1 double, 1 single and 1 camp bed, comfortably accommodating 2 adults and 2 children under 12. Make sure to have a Clayton Vitality breakfast the following morning to set your family up for a busy day exploring Dublin City Centre. 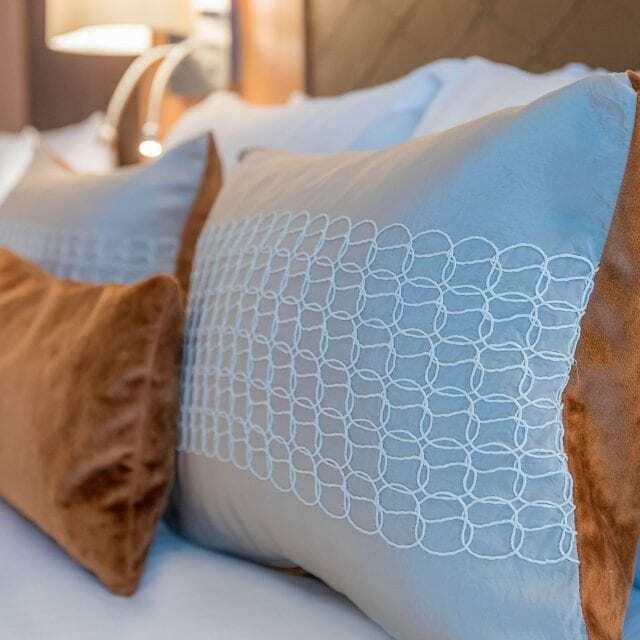 Our Double and Single hotel rooms are smartly decorated with simple and elegant décor, promising our guests a cosy and restful stay. The calm inviting ambience is sure to relax anyone who stays with us. Rooms feature one queen size bed and one single bed, accommodating up to 3 people sharing. Feel right at home with complimentary high-speed Wi-Fi and enjoy the luxury of 24-hour room service menu. 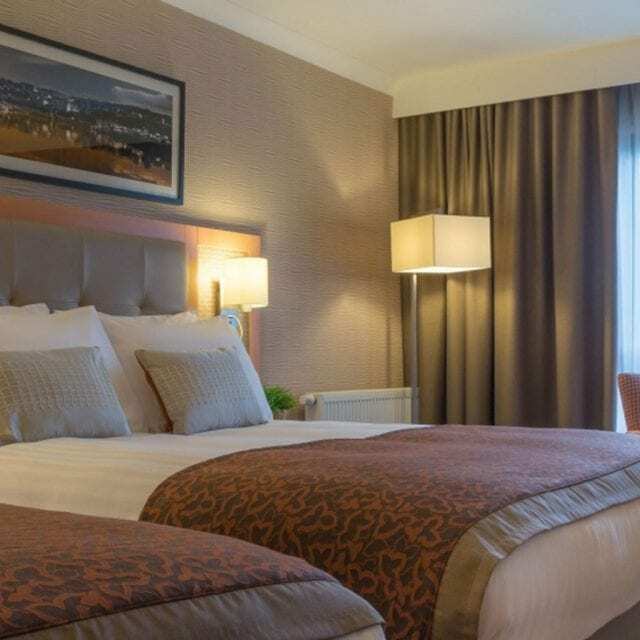 Upgrade to an Executive room for only €42! 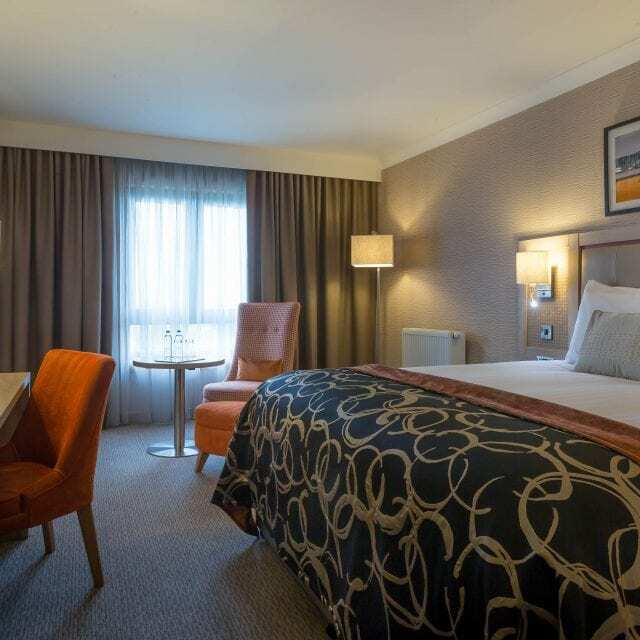 Clayton Hotel Cardiff Lane Double Rooms assure guests have a cosy and restful stay. Sink into the luxurious mattresses surrounded by an inviting ambience. Rooms feature a flat screen plasma TV, 24-hour room service menu and an in room safe with sufficient space for your laptop and personal belongings. Double Rooms comprise of 1 queen size bed, accommodating 1 or 2 people sharing. 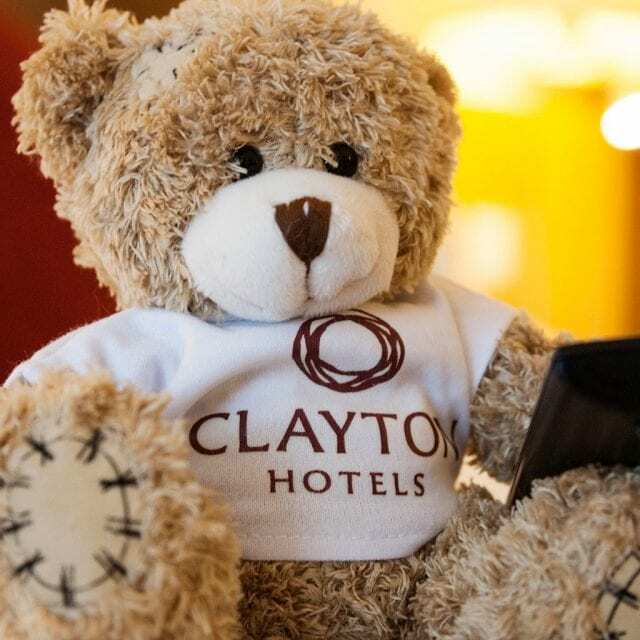 Make precious family memories at Clayton Hotel Cardiff Lane. Package includes Hop On/Hop Off sightseeing bus tickets, swimming lessons for kids, breakfast and more! Includes full Irish breakfast and a bottle of Prosecco at Clayton Hotel Cardiff Lane. Stay 2 nights and save 15%! Stay 3 nights and save 20%!